Camp Barrabadeen Activity Centre is located on the southern end of Lake Tinaroo and is accessed by a short drive from Tinaroo Township on the Danbulla Rd. It is a small peninsula jutting into the lake, we are entirely surrounded by Danbulla National Park and therefore is a private and safe contained bush land area. We have over 50 years experience running adventure programs on the Atherton Tablelands and our organisation has over 100 years providing youth programs throughout the world. While we may be focused on youth programs, we usually have many quite camp sites for the public to use. We are the largest youth organisation in the world with well developed age appropriate education packages. Our aim is to provide quality activities to schools and community groups, through outdoor education programs and conferences, which develop leadership, teamwork and personal growth, using the outdoors as the classroom. Our program manager is happy to write a program to suit your group’s ages and needs for personal and group development using team building weekends, weeklong activity filled camps or a one off half or full day activity. 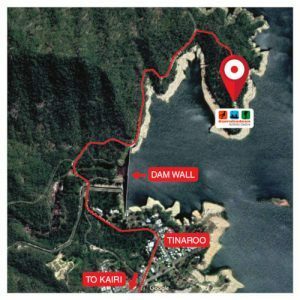 Following the completion of the Tinaroo Dam wall in 1958 and with water filling the dam in 1964, the Tableland District Scout Association was granted a 20 year lease, with this lease continuing to be renewed since then. Generations of Scouts and members of the public have enjoyed the outdoor activities and unique environment at our site. Camp Barrabadeen offers a range of vegetation types and a rich variety of animal life, including bandicoots, curlews, sugar gliders, and goannas in and around our camp sites. 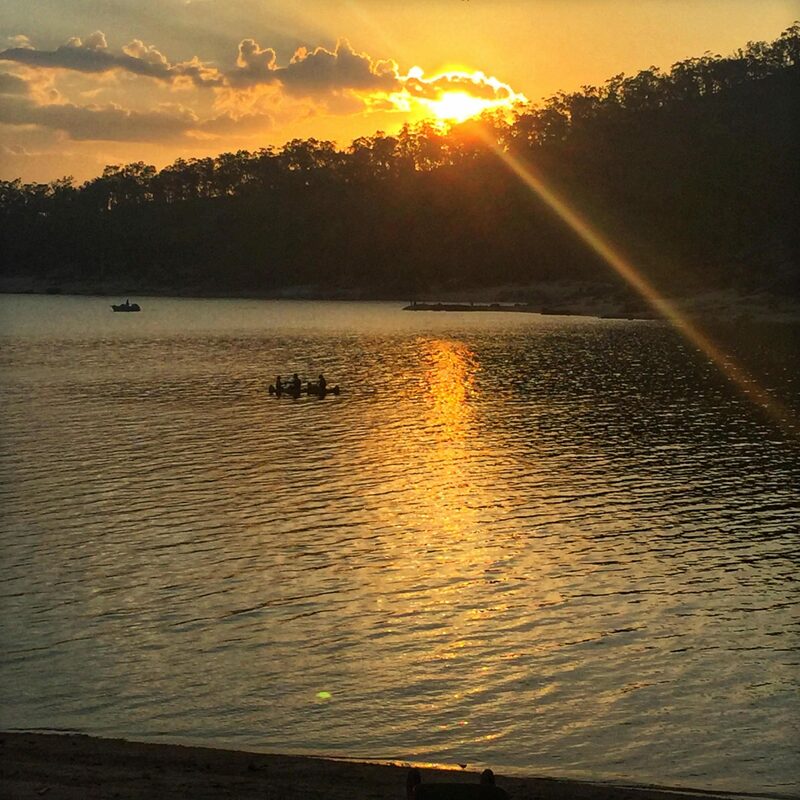 We are surrounded by 3.3km of lake Tinaroo’s shoreline including sheltered coves and over 500 metres of sandy beach adjacent to our main camping sites. On our doorstep is Lake Tinaroo which is three quarters the size of Sydney Harbour. A temperate climate provides pleasant conditions in which to do all the activities on offer. 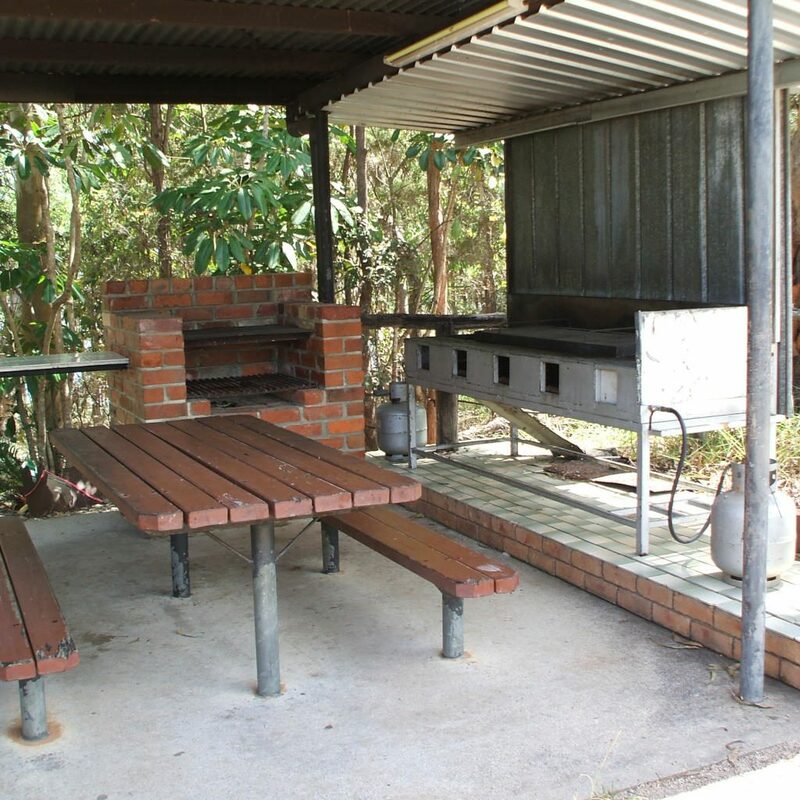 Barrabadeen is located in natural bushland on the edge of Danbulla National Park and Lake Tinaroo. The site is well known for Abseil Rock, a very safe location for abseiling. The dam is an ideal spot for canoeing and raft building activities. There is a challenging orienteering course, a ten element linked low ropes course and crate stacking with other team building activities. 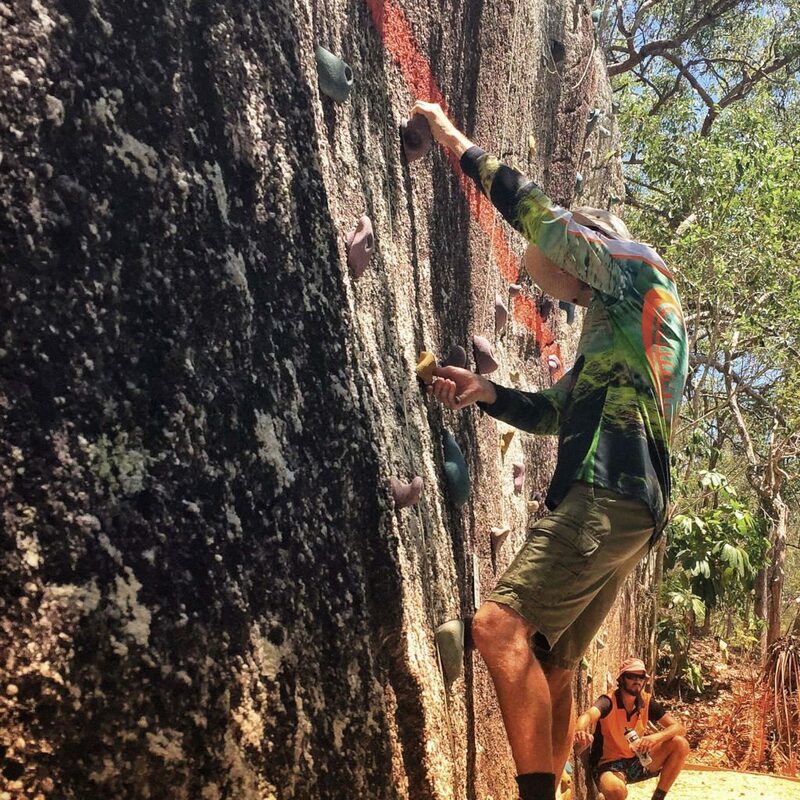 A rock climbing and bouldering wall is waiting for you to test your skills on. We are surrounded by a network of great bush walking trails with some offering panoramic views. Camp Barrabadeen offers 56 beds in two rooms in our bunkhouse with a modern fully equipped kitchen, toilets, showers and a disabilities toilet and shower room. There is a newly installed energy efficient solar lighting and power system. 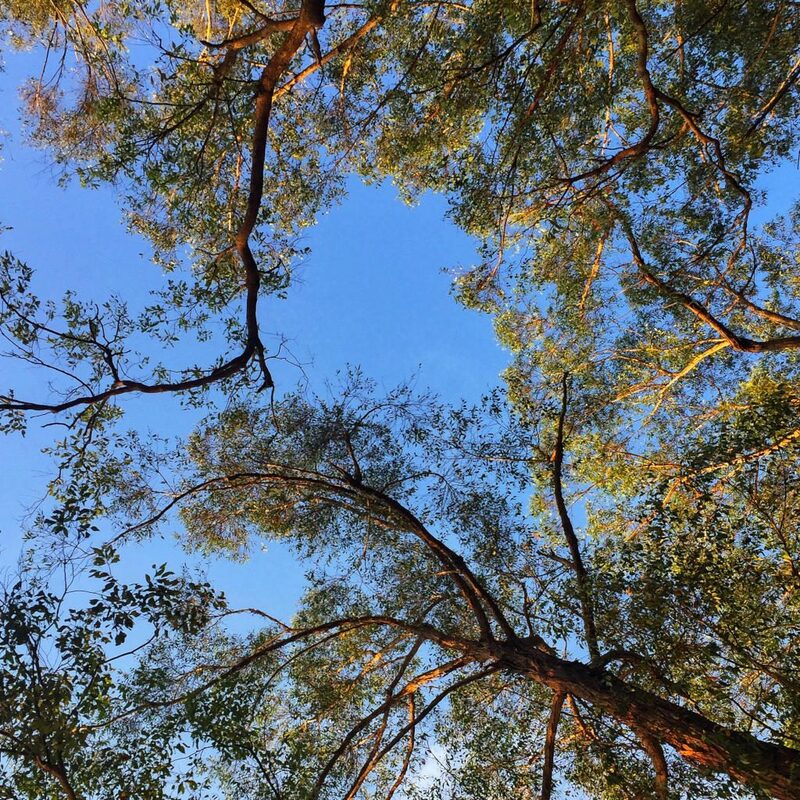 Our shaded water front camping ground can accommodate 200 people on the shores of Lake Tinaroo. We have composting toilets and hot showers. The main day use area is our shelter on the point which is great for a briefing/ classroom area, team building activities, or just to chill out. We also have two smaller covered day use areas amongst our camping sites.